No license needed to put Nintendo characters in non-commercial media says president Saturo Iwata. Slate has permission (through Getty) to use this photo, but you can put Mario and Luigi on your personal blog all you want! If you’ve been wanting to make some Kirby animations or put Koopa Troopas and Goombas on your Tumblr, the president of Nintendo doesn’t mind. Even though Nintendo has aggressively defended its intellectual property in the past, the company is now relaxing its stance on people using its characters for non-commercial projects. This week Nintendo President Saturo Iwata announced that the company will allow fans (or critics) to create derivative works representing Nintendo characters and universes without having to pursue licensing. 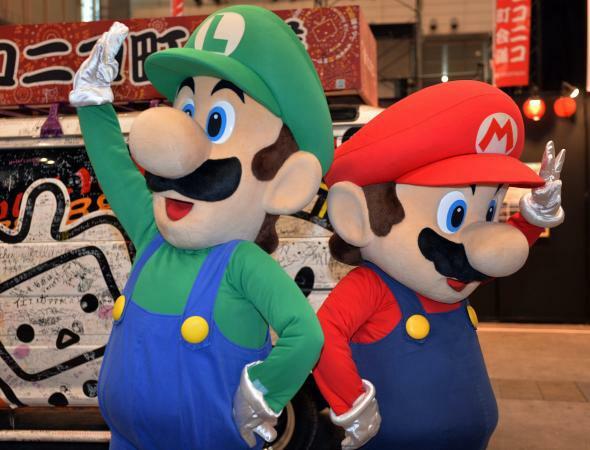 As Forbes points out, the change seems to be pegged to a Japanese video mash-up event that Nintendo is a part of. The decision could spawn fan-made games—even ones that run on non-Nintendo systems—but the main attraction will probably be fan art, tribute videos, and lots of images. Certainly Josh Goldberg’s amazing Full Screen Mario recreation doesn’t seem so illegal anymore. OK, time to start cranking out those Luigi Death Stare stickers for your friends.